One of the best running backs in New Orleans Saints history keeps his head low and his goals high, plugs along with the bluest of collars, has been underrated for so long that “underrated” has become his first name, remains the patron saint of all undrafted Saints. 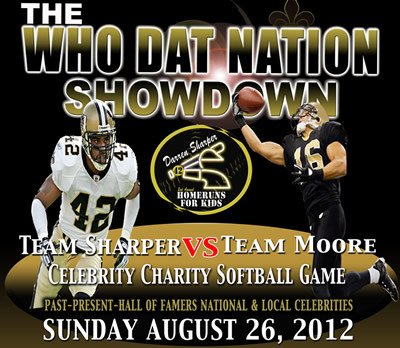 Posted in Who Dat's | Comments Off on Who Dat Nation Showdown! Us againts the world ! Posted in Who Dat's | Comments Off on Us againts the world ! Posted in Videos! | Comments Off on Ball so hard…..